Are you thinking about building your own dining table? This is a great way to ensure that the centerpiece of your dining room is completely unique and original to your home. While you might assume that building a table is going to be a tough or tricky DIY job, it’s actually far easier than most people imagine. Particularly, if you take the right steps and avoid some of the more common mistakes. You can even create your own farmhouse table. Due to their rustic, rural aesthetic, farmhouse tables have become very popular in the modern home. They contrast beautifully with a contemporary design and their large bulky build is perfect for a full family to sit around. 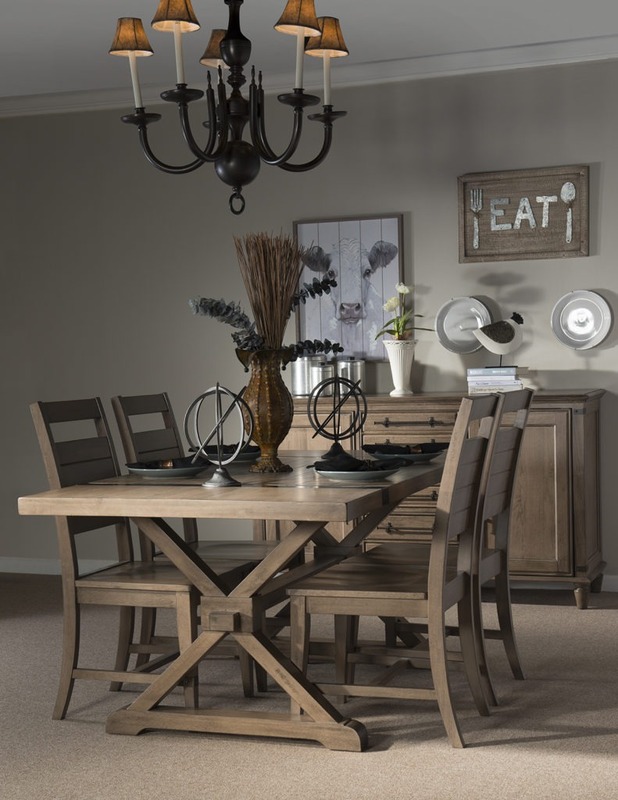 In fact, farmhouse tables can really compliment your dining space and look impressive as part of any home design. Let’s look at the steps you’ll need to take to build your own dining room table, starting with that classic farmhouse look. The first step will be making sure you have the correct unfinished wood pedastal table base to work with. We think the T-42110XXB Bank Table Base available from our store could be the perfect option. It has everything you need in terms of hardware and stretcher so the only thing you need to do to complete it is to fix your own tabletop. With this base, you will have massive pedestals and a thick mounting plate too. Strong and sturdy, this table base could hold a grand table top. It is ideally suited for a table that measures 42 inches wide and 74 inches long. However, you may find it also fits a larger piece of wood if you’re eager to build a table that is even larger. Alternatively, you might be more interested in building a round table for your home. Round tables are often the perfect piece of furniture for a dining area that is joined to the kitchen. One possible base you could start with would be the T-54B 10’’ Round Empire Foot Table Base. This base provides four studs to fit the table top and is suitable for a top with plates and risers connected to it. While this particular table has legs that are 35 across, you can get ones that are significantly smaller or larger depending on your size requirement. There are various ways to fit a table top. When you do this, it’s important to keep in mind that the wood should be able to both contract and expand naturally, depending on changing levels of humidity. One option would be tabletop fasteners. These will slide within the groove when the table expands and contracts. They are also easy to make and install. Tabletop fasteners are wood however there are also metal table clips. These are a cheap, easy to install alternative and provide a fantastic level of movement for the wood. There are also more difficult options when fitting your tabletop to the base. For instance, the dovetail block provides the greatest level of movement. However, this will require a dovetail-shaped part to be fitted onto the tabletop while a slot is then glued onto the apron. If you can, it’s far easier to begin with a table base, that is already set up for the type of movement required here. Once the table top is fitted, you can then decide on the color or shade you want. This is perhaps one of the best parts of building your own dining table. You can choose a color that really pops and looks magnificent as part of your home. Make sure that you look at a few different shades and styles to find the right fit for your unique design. Darker browns look fantastic and provide a classic appeal to the table. In contrast, brighter shades create a more rustic appearance. Finally, no table is complete without the right chairs. You can find chairs in a range of different styles and designs from contemporary to vintage. Be sure to look at the backs of the chairs to find the perfect match for your table. For instance, a set of C-110 Arlington Panel Back Chairs could look absolutely fantastic with the T-42110XXB Bank Table Base. You can use these chairs to design a complete dining area for you and your family. The best part about opting for a rustic farmhouse dining table design is that they are timeless. They will stay in style and on trend for years!